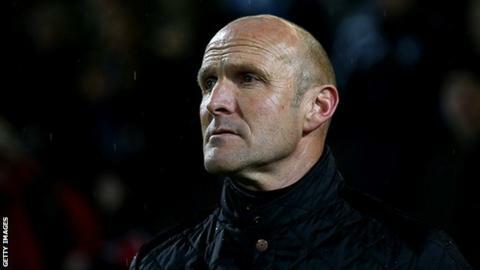 Chester have sacked manager Steve Burr after one win in 10 National League games left them in a relegation fight. Burr, 56, took charge in January 2014, initially until the end of that season, before agreeing a two-year contract. Chester are 17th in the table, four points above the relegation zone, with four matches remaining. "Given the recent extended run of poor form and results we believe this is in the club's best interests," a club statement said. "As a fan-owned club this has not been an easy decision for us to make. "We thank Steve for his contribution over the last two years and wish him well for the future." First-team coach Jon McCarthy will take the remaining games alongside captain Ian Sharps, starting at Lincoln City on Saturday.